FLEXX attends the MATRA show! We recently attended the MATRA show, the Mid-Atlantic Tent Renters Association tent show in Uniondale, NY! 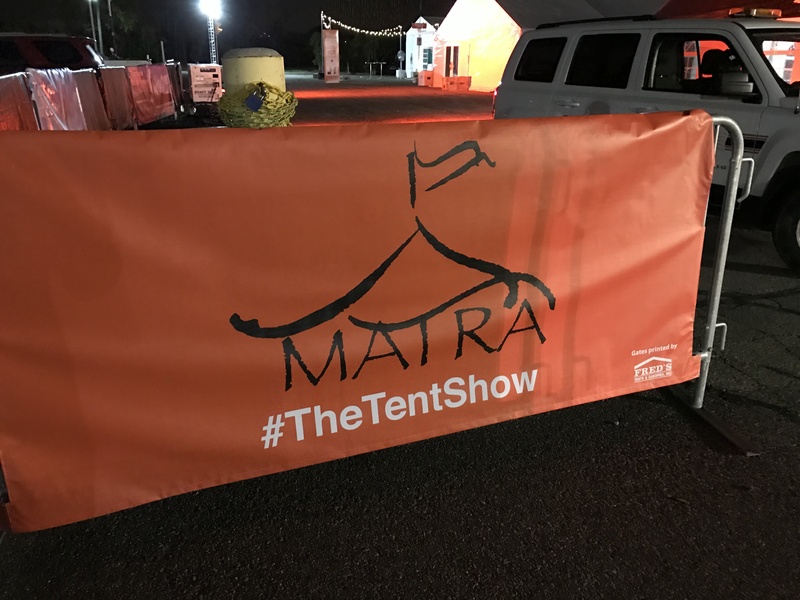 MATRA gives tent industry professionals from all over the United States the opportunity to learn from each other, test and purchase new products, discover tips and tricks of installation, and of course, have a little fun. FLEXX loves supporting amazing organizations and events like the Cattle Barons Ball. The goal of the Cattle Barons Ball is to raise funds for the American Cancer Society and finish the fight against cancer. Throughout it's 23 year history, the Cattle Barons Ball has raised $5.705 million net dollars. FLEXX Productions is a proud sponsor of this year’s event. On Saturday, June 18, The Rio Grande celebrated it’s 30th birthday in style! Sticking with tradition, The Rio threw a block party that was full of margaritas, music and more (including rentals from FLEXX Productions). The legendary Buddy Guy headlined the party along with other musicians who brought the rock ’n’ roll. The opening band was The Rio All Stars, made up of musicians who all previously worked at a Rio location. Realities for Children hosted The 18th Annual Realities for Children Awards Gala earlier last month and FLEXX Productions was invited. We were presented with the Beyond Business Award which is "Reserved for Realities for Children Business Members who have been dedicated Business Members for 10 years or more. These business leaders have contributed greatly to the community and culture of child protection in Larimer County." One thing we love at FLEXX Productions is that we have the opportunity to work with and support local businesses and organizations regularly. On April 18, 2015 at 11:30 a.m., three CSU alumni and local entrepreneurs will be hosting a world record s'more roasting event in a parking lot at CSU, with rentals provided by FLEXX Productions. We hope you will all GO support Stuff'n Mallows and enjoy some s'mores! We are proud to announce that Flexx is now an official sponsor of Colorado State University Athletics, effective April 2014. The PVH and MCR Foundation's 35th Annual Spring Benefit took place last weekend and we are happy to have provided tents for the occasion! In addition to providing the tents for the evening, Phil Gotulla, Owner and Co-founder of Flexx Productions, attended the event and was featured in a video! Join FLEXX at the Larimer Humane Society’s 24th Annual Fire Hydrant 5K on May 31, 2014! FLEXX Productions is a proud supporter of the Larimer Humane Society, a local non–profit organization dedicated to promoting and providing responsible care and treatment of animals in Larimer County. As Northern Colorado’s largest open-admission animal care facility, the Larimer Humane Society offers thousands of homeless animals shelter and medical care every year. Last Tuesday we hosted The Chamber of Commerce for the Business of the Month Red Carpet Event. Our owner and co-founder, Phil Gotulla, answered questions and gave a tour of our facility while attendees munched on Panera’s tasty pastries and drank delicious coffee provided by Coffee Craze. Thank you again to all who came out to celebrate this honor with us. We feel very grateful to our community.